Femme Fatales Set 2: More Lethal Lady Minimates Coming Soon! 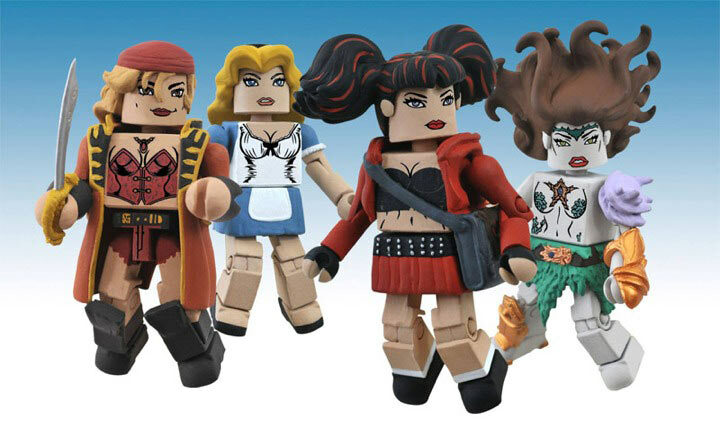 December 2011 - By now, you surely have the first Femme Fatales Minimates box set, but we know that just four Femme Fatales is nowhere near enough! 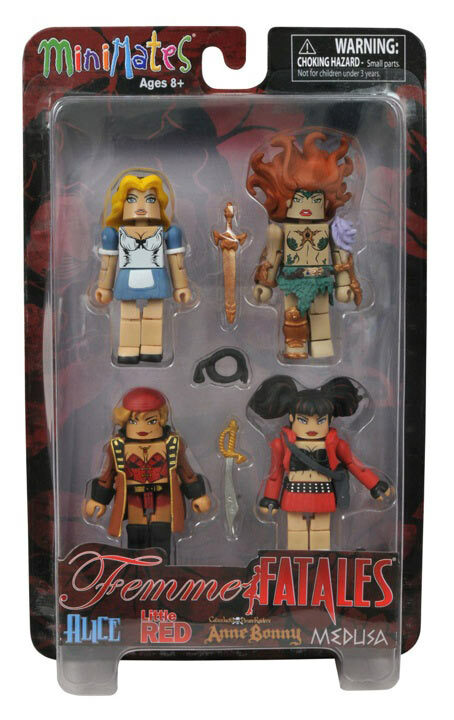 Luckily Diamond Select Toys has the perfect solution to that problem: a brand new set of 2-inch Femme Fatales, featuring DST's original creations from the world of fairy tales, mythology and pirate adventure! 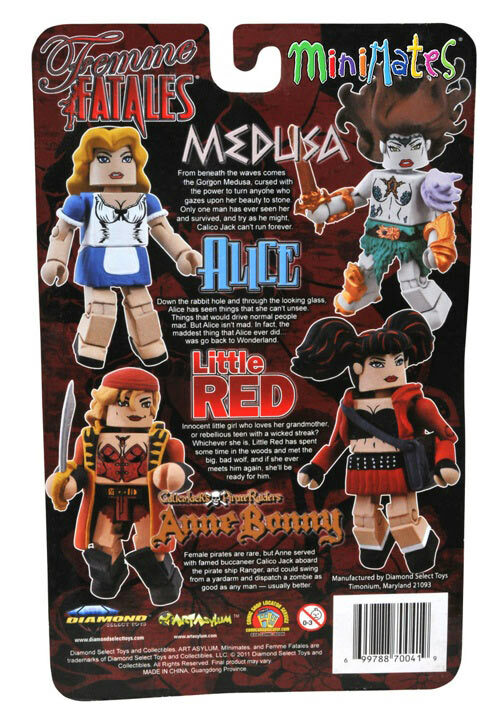 This Minimates 4-pack (seen here in its packaging for the first time) features Alice, Little Red, Anne Bonny and Medusa, who not only look great with your existing Femme Fatales and Pirate Raiders Minimates, but look adorable when displayed with your Femme Fatales PVC statues, too. Look for them at your local comics retailer or specialty store in January, and pick up Set 1 today! Get regular DST updates on Facebook and Twitter! And check out the rest of the Femme Fatales here!